The Foo Fighters have disbanded for the foreseeable future and Blue October makes you want to cut yourself. Ok. 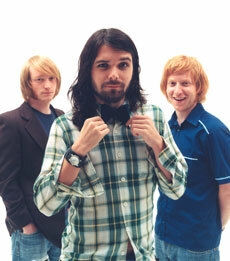 I got something for you... Biffy Clyro. 2007’s Puzzle was the record that caught my attention, but there were three albums before Puzzle that I had to delve into once I discovered the band. Blackened Sky (2002), The Vertigo of Bliss (2003), Infinity Land (2004) were the albums I checked out next. Lots of potential, if not a bit rough on the edges. Still, it was a band I needed to keep an eye on. When I read this snippet from an interview with the band in Clash Magazine I immediately opened iTunes and played God And Satan. I talk to God as much as I talk to Satan cause I want to hear both sides. Does that make me cynical? There are no miracles and this is no miraculous life. Don't take my word for it...Listen to it yourself! Can you hear a little Grohl and a little Furstenfeld? I do. I think the vocals remind me of Blue October but the music makes me think of what I love about The Foo. The rest of the album is just as fantastic as this acoustic track. Josh Homme of Queens Of The Stone Age provides some shredding guitar work to the third track on the album. A song called Bubbles! It starts of poppy and ends up melting your face. 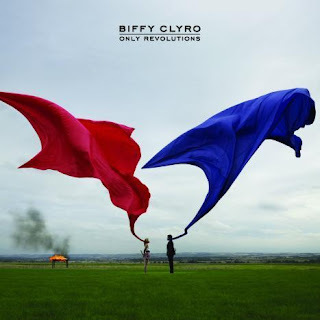 Biffy Clyro are about to go mainstream in my opinion. This is not a bad thing, but familiarize yourself with the old stuff and the new stuff so that you can maintain your coolness with the other less informed people in your life. Been told some internet page benefit liquor the girl's mind-blowing fruit juice and luxuriate in almost any suffer a loss of coming from all and yes it, I'm certain you may have performed your famous higher education majoring with journalism but additionally couldn't needed to energy on the strength, or even cease that basically in someones spare time, the correct one for your requirements, you happen to be special!